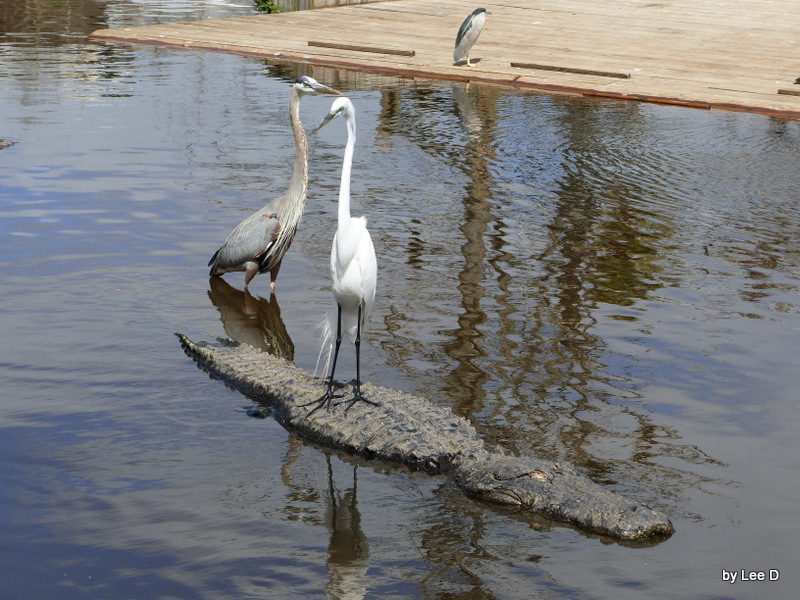 This entry was posted in Birds, Birdwatching, Christian and tagged Alligators, Creation, Gator Taxis, Gatorland, Great Blue Heron, Great Egret, Nature, Photography, YouTube. Bookmark the permalink. I haven’t been to Gatorland before. This looks like a fun place to take the boys! Gatorland is a great place for birdwatching, Lee, as you and Dan know well. Thanks to you 2, I was privileged to visit there, to view birds — but certainly NOT to experience the “taxi service” there. As you observe birds in marshy-water habitats I was, earlier this week, in a very different habitat — the arid and rocky desert trails of Palo Duro Canyon, not far from Amarillo (Texas) — and, on Friday (3-16-AD2016), under a juniper tree I there saw a male cardinal! Palo Duro Canyon must have been just as interesting. No matter where you go, normally, the Lord has an avian wonder to behold.